Knob wood (Zanthoxylum chalybeum Engl. var. chalybeum) is a spiny deciduous shrub or tree up to 12 m high, with a rounded but open crown. It has compound leaves consisting usually of 3 to 5 pairs of shiny leaflets plus a terminal leaflet, with a strong citrus smell when crushed. The trunk has characteristic large, conical, woody knobs with sharp thorns. The fruit is spherical, about 5 mm in diameter, reddish-brown, splitting to allow the shiny black seeds to protrude (Orwa et al., 2009). Zanthoxylum chalybeum is used throughout Eastern and Southern Africa for its aromatic leaves, shoots and fruits, which are used to make a variety of tea-like beverages and decoctions. It is also widely popular as a medicinal plant for humans and animals and is sometimes over-exploited for these properties (Maundu et al., 1999; Mingochi et al., 1997). Its potential anti-plasmodial and anti-trypanosomal properties are currently being investigated (Engeu et al., 2008; Nibret et al., 2010). 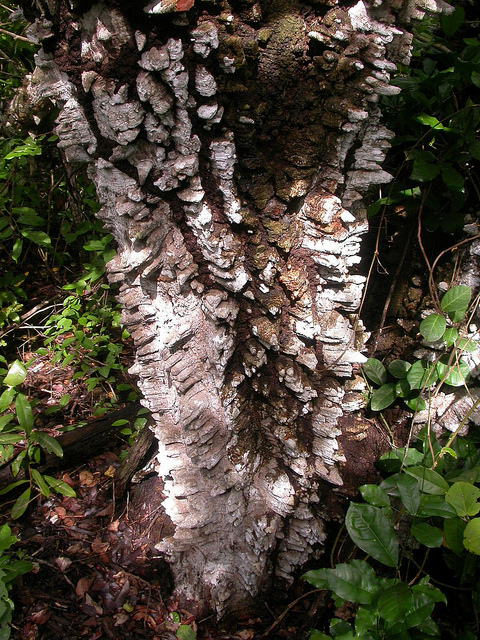 Zanthoxylum chalybeum also provides good firewood and hard durable timber (Orwa et al., 2009). Zanthoxylum chalybeum is native to Eastern and Southern Africa (Burundi, Democratic Republic of Congo, Ethiopia, Kenya, Lesotho, Malawi, Mozambique, Namibia, Rwanda, Somalia, South Africa, Swaziland, Tanzania, Uganda, Zambia, Zimbabwe). It can be found at medium and low altitudes, from sea level to 1600 m, under 750-1500 mm annual rainfall. It grows in dry woodland or grassland, often on termite mounds (Orwa et al., 2009). Its extensive use as a source of valued food and medicinal products endangers it in certain areas (Maundu et al., 1999; Mingochi et al., 1997). Zanthoxylum chalybeum is mostly known for its multiple uses in ethno-veterinary medicine (Gradé, 2008; Maundu et al., 1999), and scarce information is available regarding its uses as a fodder plant. Early observations suggest that the leaves and fruits are eaten by camels and goats throughout the year and that the branches are sometimes lopped for feed (Dougall et al., 1958; Maundu et al., 1999; Orwa et al., 2009). Gradé, J. T., 2008. Ethnoveterinary knowledge in pastoral Karamoja, Northern Uganda. Ph.D. thesis. Faculty of Bioscience Engineering, Ghent University, Belgium 220 pp.